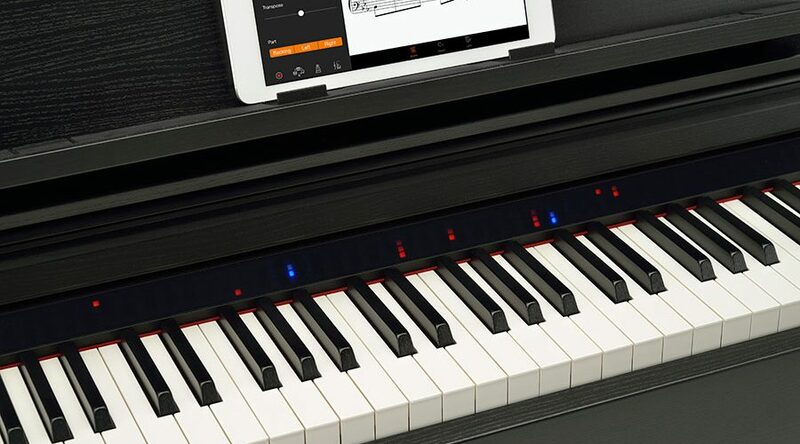 Yamaha has introduced what it claims to be an “entirely new product category” in the digital piano market, with the arrival of the Clavinova CSP. Modelled on the Yamaha CLP, it features a slimline design, two high quality piano samples — the Yamaha CFX and Bösendorfer Imperial — and Virtual Resonance Modeling (VRM). 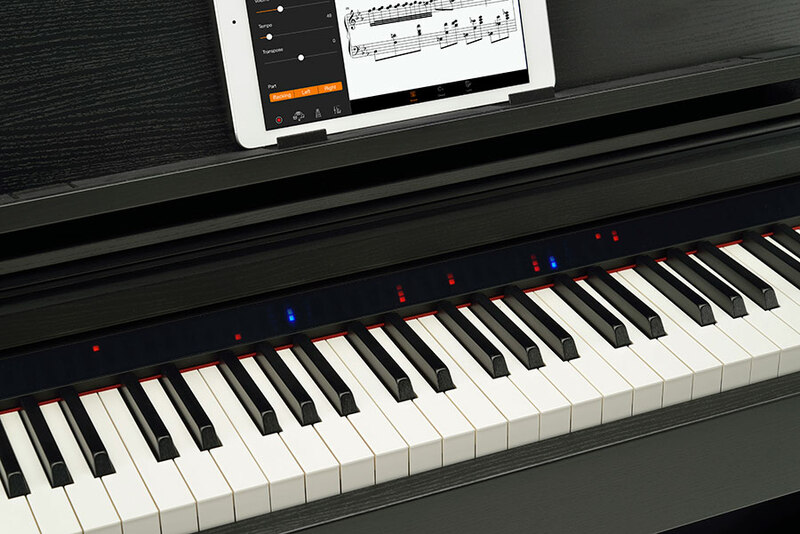 Its unique selling point is the Audio-to-Score function (which must be run as the Smart Pianist app on a separate tablet) which can take music from an iTunes library and create music scores, chord sheets, plus an interactive, game-like learning experience on the instrument itself. Each key features four cascading lights above it, which illuminate in sync with the song’s tempo, beginning with the light farthest away from the key. This gives the player advance notice of which note to play next, somewhat akin to music games such as Rock Band and Guitar Hero. The smart app can adjust the difficulty of the created music, such as setting how many notes are required in each hand, whether arpeggios and other techniques are required, and more. The app comes loaded with 100 popular and classical songs from artists including Adele, Sting, Elton John and Coldplay, together with 303 lessons by Beyer, Czerny, Hanon and Burgmüller. The CSP-150 retails for $3,999 with the CSP-170 coming in at $5,399. Available in matte black or polished ebony.